Showcasing the best sites for slot machines on the Internet! Club USA Casino has more than 120 casino games for their members to enjoy, and a good portion of those games are slot machines. Video Slots, 3-Reel Classics, Bonus 3-Reel Slots, dozens of 5-Reel Slots, and 8 slot machines with progressive jackpots are all available. The progressive jackpots typically start off at around $20,000, but will quickly get huge depending on the slot machine, usually ending up over $1,000,000 and sometimes even getting up to $2,000,000. Only players who make a deposit can try to win the progressive jackpots. For players who decide to download the software instead of playing through a browser there is a Slots Tournaments option which is updated every day. Score points and win cash prizes in these tournaments with buy-ins starting as low as $1. The tournaments run all day every day – just click on the Tournament Lobby once logged in to Club USA. 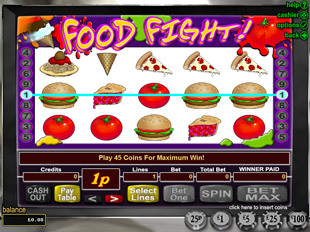 This entry was posted in slot machines online and tagged club usa, progressive jackpot, slots tournament, video slots. Bookmark the permalink.